(HealthDay)—Many middle school and high school students have short sleep duration, according to research published in the Jan. 26 issue of the U.S. Centers for Disease Control and Prevention's Morbidity and Mortality Weekly Report. Anne G. Wheaton, Ph.D., from the CDC in Atlanta, and colleagues analyzed data from the 2015 national, state, and large urban school district Youth Risk Behavior Surveys (YRBSs) to examine the prevalence of short sleep duration (less than nine and less than eight hours for children aged 6 to 12 and 13 to 18 years, respectively). The researchers found that the prevalence of short sleep duration was 57.8 percent among middle school students in nine states that conducted the middle school YRBS and included a question about sleep duration; state-level estimates varied from 50.2 to 64.7 percent in New Mexico and Kentucky, respectively. In the national YRBS, the prevalence of short sleep duration was 72.7 percent among high school students. 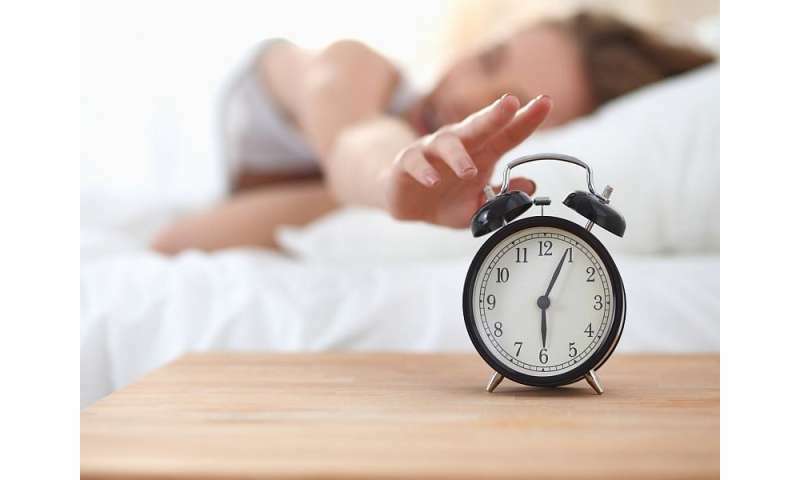 In state-level estimates, short sleep duration ranged from 61.8 to 82.5 percent in South Dakota and West Virginia, respectively, in the 30 states that conducted the high-school YRBSs and asked about sleep duration. "The large percentage of middle school and high school students who do not get enough sleep on school nights suggests a need for promoting sleep health in schools and at home and delaying school start times to permit students adequate time for sleep," the authors write.